Bruce Allen Ralston has been fighting for the “little guy” to solve consumer debt issues for over 25 years. He is a Memphis bankruptcy attorney at the Law Office of Bruce A. Ralston, a federally-recognized debt relief agency that helps people file for bankruptcy under Title 11 of the United States Code. Bruce is the only lawyer in the western half of Tennessee who regularly helps people deal with their student loan debts, including the parents that signed for their children’s loans and other cosigners for individuals that aren’t their legal responsibility. This applies to all kinds of student loans: federal, private, or both. In fact, he has helped government and nonprofit workers to qualify for Public Service Loan Forgiveness. He is able to help individuals all over the country for federal student loans, but individuals with private loans must be Tennessee residents. 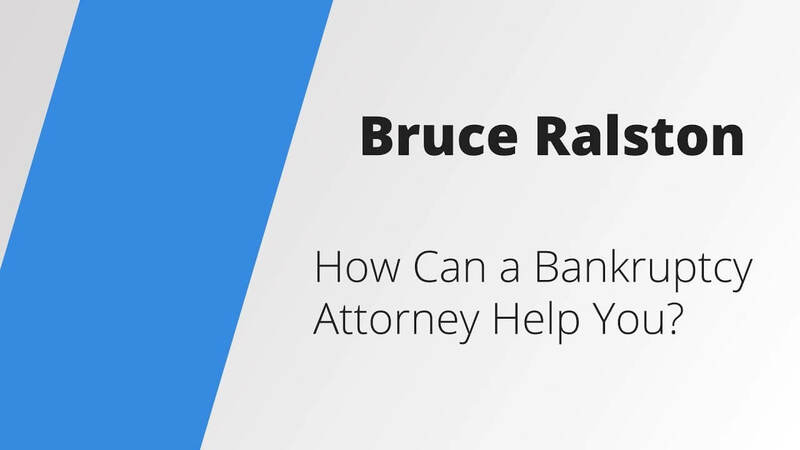 Bruce has extensive knowledge and experience regarding bankruptcy and consumer law. He also helps people to defend themselves against collection lawsuits, stop payroll garnishments, eliminate tax refund offsets, and sue abusive debt collectors. Bruce offers a free 45 minute consultation on any debt-related matter (bankruptcy; credit reporting issues; defense of collection lawsuits; dealing with debt collectors; etc.) He always charges a flat fee, so that there are no surprises. Bruce is very knowledgeable and upfront about his fees. If you have a student loan issue, he will sit down with you and tell you what to do to get your payments down, and then you can do it yourself.